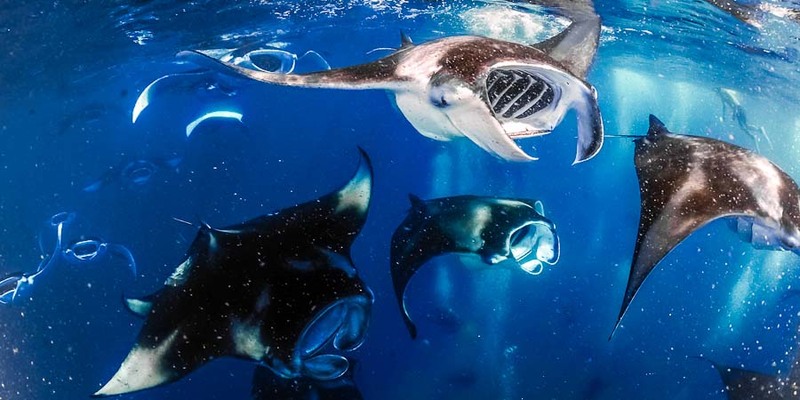 New for 2014, Four Seasons Explorer is offering guests a rare opportunity to join a seven-night research expedition studying the Maldives’ most exciting residents: manta rays and whale sharks. 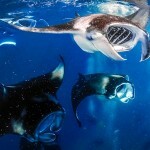 Conceived in conjunction with The Manta Trust – the world’s leading manta ray charity – and escorted by its founder and world-renowned manta expert Guy Stevens, the two all-inclusive seven-day expeditions will immerse guests in every fascinating aspect of the Trust’s research and conservation efforts. 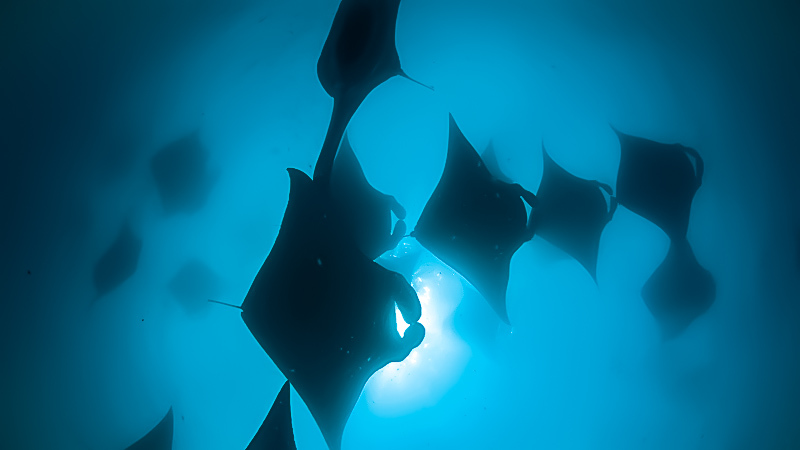 The expeditions will take place on August 21–28 and September 11–18, 2014, dates identified by The Manta Trust as being peak sighting periods due to the southwest currents moving large quantities of plankton through the Baa and Ari Atolls, attracting manta rays and whale sharks from all over the Maldivian Archipelago. In addition, each exclusive expedition route will take daily climatic and environmental factors into consideration to maximize guests’ chances of successful encounters. With manta rays and whale sharks feeding at the surface of the ocean, each expedition is suitable for divers and non-divers alike. 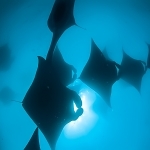 And as honourary researchers, all expedition participants will be encouraged to engage in every aspect of the conservation experience: learning how to free dive and take ID photos; contributing to data collection; helping record critical environmental information; participating in workshops and even naming any mantas new to the Trust’s database. In short, participants will come away having made a valued contribution to this thrilling area of study, while enriching their personal knowledge and appreciation of the Maldives’ magical marine life in the presence of leading oceanic experts. 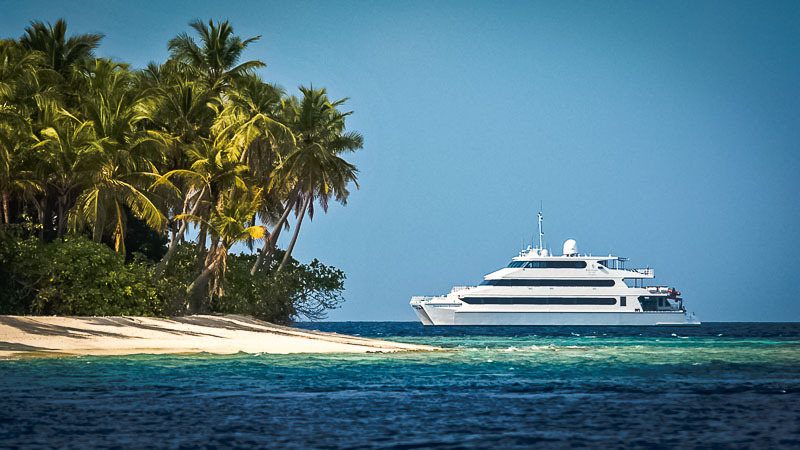 Hosted aboard the Maldives’ fastest and most luxurious liveaboard, Four Seasons Explorer, each expedition also offers the excitement of a once-in-a-lifetime cruise experience. 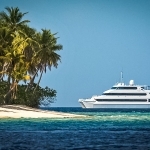 Aside from daily gentle giants studies, participants will enjoy effortless access to a side of the Maldives rarely experienced by tourists, where remote snorkel hotspots, secluded cultural experiences, isolated craft villages visits, deserted sandbank barbecues, castaway beach massages, uncrowded water sports and spectacular sunrises and sunsets are an enchanting daily occurrence. Rates include transfers, full board, three dives/snorkelling excursions per day and are subject to 21 percent service charge and GST and the prevailing government bed tax of USD 8.00 per person per night.